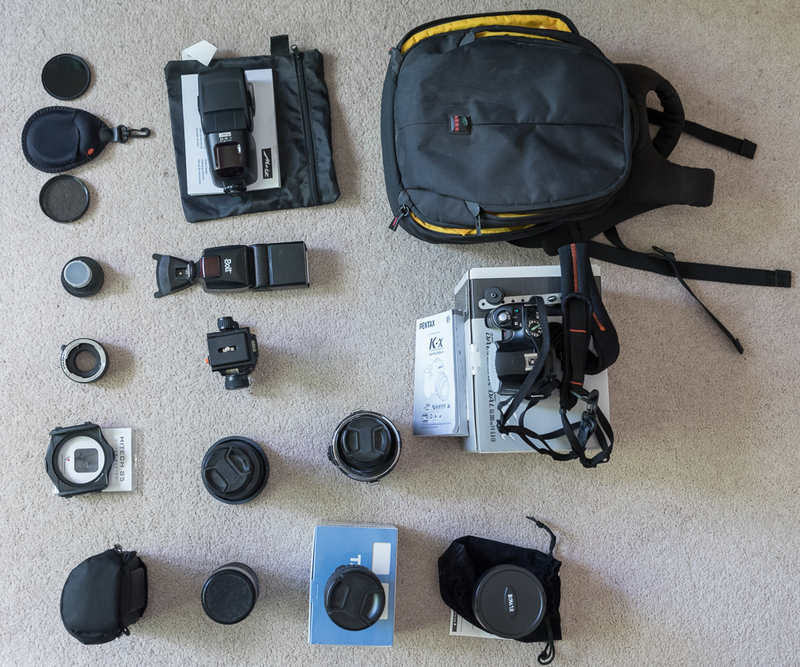 It's time for me to get rid of all the photography gear that I no longer use. All lenses are K-mount in case it's not obvious. I accept Paypal and shipping is $5 for the small items and $10 for the larger items. I bought this lens here a few years ago. The aperture wouldn't stop down but I had it fixed. There are a few scratches on the outside, but the glass is clean. Includes old case and generic lens hood. A few scratches on the outside, but the glass is mostly clean. Free neoprene filter pouch (holds 2) for whoever buys a filter first. There are a few small scratches on the ND filter. Includes 67mm and 82mm rings. This is a 2 part adaptor that allows you to attach a K-mount camera to a telescope. Great condition. Completely manual and it has a built-in lens hood. This was actually a 2X teleconverter but it works great as an extension tube after I removed the glass since it has the A contacts. I don't know if anybody wants these items below, but I figured it was worth a shot. I don't recall ever dropping this lens. But it seems like it just came out of alignment, and is not nearly as sharp as it used to be, although it's not bad at the wide end. It probably wouldn't be difficult to fix. Includes generic rubber lens hood, and old case. This lens fell in a creek. I opened it up and dried it out, and removed a broken piece. As a result, you can't twist to zoom, you have to push and pull the barrel. I actually kept using this lens for awhile and the IQ wasn't too bad. A little blurry in the corners. Includes original box but no hood. Bump. Some items have sold, but the rest are still available. I've also dropped some prices. PM sent with interest and questions. I answered your pm, need details on buying. I just clicked on the link to your website. That front page shot is awesome! Thanks for the lens. Can't wait to get it here. One last bump. I've moved the unsold items to the top.